So I've been having a good think about this Feature for a while now, and it was Missie Summers over at The Unread Reader that got me really working on this post. I know there are alot of you that enjoy reading VERY MUCH. So who out there enjoys writing their own stories?? I know I do. Well with Once Upon a Time the general idea would be for those that wanted to enter their stories, say every 2 weeks, I will pick a winner (or I'll pick a couple of stories to post up so that you could all vote for) and post their story the following week and send them a prize. And so on and so on until towards the end, where I'll put the stories together into a book. I was also thinking that we could also have like a cover competition for anyone who would like to design a cover for this book and have everyone vote on the best cover. Once all that fun stuff is done have maybe 5 or 6 copies published through Blurb or (somewhere like that) and six lucky entrants will win THE SUPER Prize. Okay, okay. There are flaws. For starters I'd love to give everyone a chance to get this book too! I'm not sure how I can do this though. There are a few options. I've read on there that it can be private/invitation only, or there is also the option of putting it in the bookstore, but I don't like the bookstore idea because I don't want to profit in any way from this AT ALL. This is THE PEOPLE'S book as Hamish and Andy from B105 would say lol. So I'm here to ask for HELP!! I really want to make this happen. I think it would be super cool so I need some input on this. How long do you think entries should be 250, 500, 1000 etc? Who's actually interested in this idea? What are your ideas on the publishing side of this? Any ideas on this too? Whatever your input I'd love to hear this. 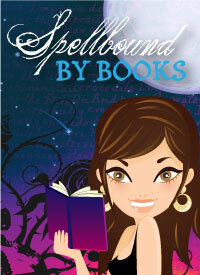 You can email your thoughts, ideas etc to spellboundbybooks@gmail.com and/or comment here. If there are any other things I may have forgotten here, please let me know!! Melissa! This is an exciting idea! Brainstorming how to make this work would be important! Maybe we could all workshop our stories together and polish them up for publication, then approach a publisher with the idea to submit an anthology? I love the book cover idea! This is a great idea. I’d love to take part if I can find time. Of course finding time is the hard part. I’d definitely love to see an update on what direction you decide to go with this. I love the idea! 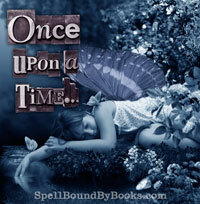 I would totally try to put together a few short stories to enter in the contest, maybe a cover, too! I like Missie's idea of approaching a pulisher with an anthology. OR maybe doing a few giveaways of the book, and all the authors who donated their stories get a copy or two. Wow! I'm stoked that you all are enthusiastic! We've got some fantastic ideas! Keep them coming! 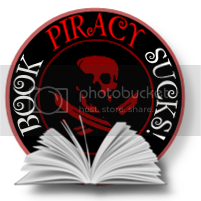 I'll be working on another post tonight to put up so if there's anything you want me to bring up, you can email me at spellboundbybooks@gmail.com, or use the contact page on here, or even a direct message on twitter. Thanks heaps! !